Most women's beauty regimen only includes the care for the face. We often take for granted other parts of the body that needs as much attention. Whenever I go to the spa, I always avail of their body scrub service. Body scrubbing exfoliates the skin of the body. Although we scrub our body when we take a bath, there are parts that are impossible for us to reach. Aside from removing dead skin cells, you are missing a lot if you are not into body scrubbing. The most popular treatment is the Dead Sea Salt body scrub. Compared to a regular rock sea salt, the Dead Sea Salt is mineral-enriched and has a lower sodium content. It has been used for centuries to promote overall wellness. I'm turning 41 in three months and I must admit taking care of my skin requires more work than twenty years ago. Dead Sea Salt helps in reducing the appearance of fine lines and wrinkles. It can renew the skin thus making it younger looking. Dead Sea Salt contains minerals that can help the skin retain water to keep it hydrated. More moisture in the skin prevents wrinkle formation. I suffer from eczema. On certain months, I get itchy, red patches on my legs. 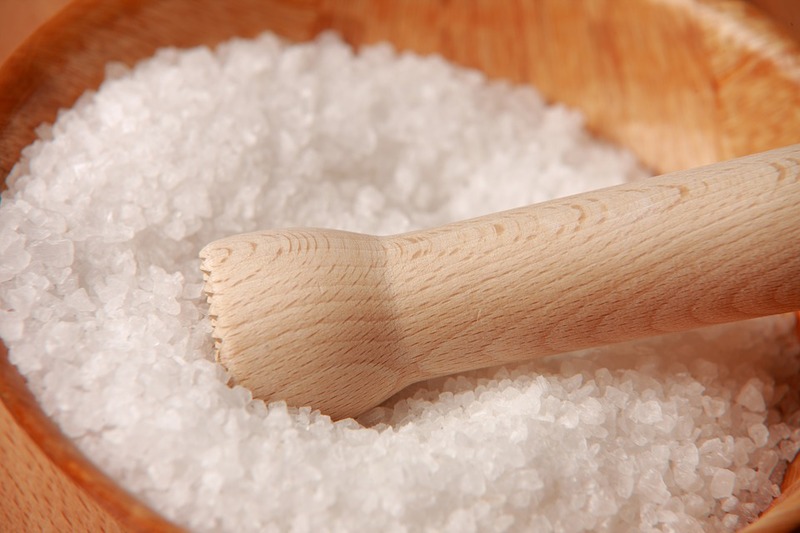 The minerals found in Dead Sea Salt help to heal and soothe skin problems like eczema and psoriasis. Massaging Dead Sea Salt in circular motion improves circulation of blood and releases toxins from the body. Good blood circulation helps in rejuvenating the skin. The next time you visit a spa, make sure you avail of the Dead Sea Salt Body Scrub. A dead sea salt body scrub sounds positively delicious right now! I will ask at the spa next time I go! Or maybe I will try making it myself. It sounds so great, thanks for the tip. I think my mom let me try some dead sea salt body scrub before. It really makes the skin smooth and gives a glowy feel. I want to see what's the particular product you're using so I could have an idea if it's the same thing my mom let me use. Oh and btw, you look blooming!